The father of a friend of Tamerlan Tsarnaev fatally shot in May by a Boston FBI agent said today he is seeking a civil suit against the agency for his son’s death. 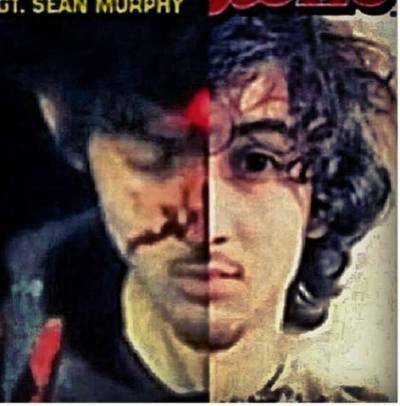 Ibragim Todashev, 27, was in his Orlando apartment during an interrogation authorities have said was connected to Tsarnaev, who, with his brother Dzokhar, is suspected of carrying out the Boston Marathon bombing. The father said he did not want to wait for the results of the FBI’s internal investigation into the shooting of his son. I spy with my U.S. government eye: someone is tweeting you. Every day there seem to be more revelations of the U.S. government’s secret surveillance program by the NSA, tapping into user accounts, phone metadata and now social media networks of ordinary people. In a rare instance of transparency, Twitter released its semiannual transparency report exposing a 40 percent rise in not only U.S. government requests, but also international governmental requests for users’ private information. Freelance writer Michele Catalano thought she might get herself a pressure cooker to prepare Quinoa, the south American wonder-grain. Her husband wanted a new backpack. Both did what you do these days: go online and search for them. Catalano's husband did so from his work computer, and later left his job. Nothing to see here, you say to yourself … except for the nasty coincidence that alleged Boston bombers Dzhokhar and Tamerlan Tsarnaev are said to have hidden pressure cookers in backpacks. Amid a continuing cover-up of the FBI killing of Ibragim Todashev, US immigration officials are detaining Tatiana Gruzdeva, Todashev’s roommate, and preparing to deport her from the country on charges of overstaying her visa. Civil liberties groups believe Gruzdeva has valuable information about Todashev’s interactions with the FBI. Todashev, an acquaintance of suspected Boston Marathon bomber Tamerlan Tsarnaev, was allegedly a key witness in the bombing. He was shot and killed by an FBI agent on May 22, after being interrogated in his apartment for many hours by investigators. He had been been repeatedly questioned in the days and weeks before his death. The WSWS needs your support!